Some parts of the house can be a challenge to furnish. We measure out the empty space in hopes to find a beautiful yet practical furniture piece that fits perfectly. We know the struggle, that’s one of the many reasons we enjoy custom projects!! Over the years, we’ve built many custom projects that not only fit precisely but are also superior quality! Did you know we use hardwoods sourced from environmentally conscious suppliers? We use Canadian plywood, instead of imported plywood from other countries like China, to eliminate the risk of high concentrated formaldehyde, which is loaded with respiratory damaging chemicals. Our priority is to offer top quality products and customer service! Read more information about our process here. This stunning living room features a floor to ceiling marble fireplace, accompanied by solid wood cabinets and floating shelves. The natural light pouring through the windows bring the colours to life, creating such a serene and elegant living space! We are in absolute awe of this custom project, combining beautiful yet simple details in one space! 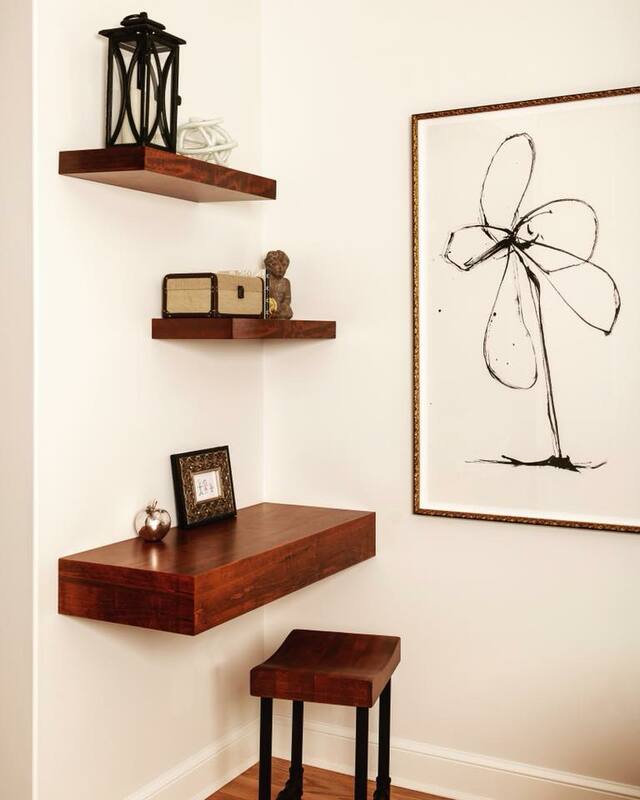 Charming tiny office space, this custom floating desk and shelves are made of solid wood and are a creative way to add a little je ne sais quoi in a space that many may overlook. Not only is it a functional desk, it’s also very beautiful to look at! 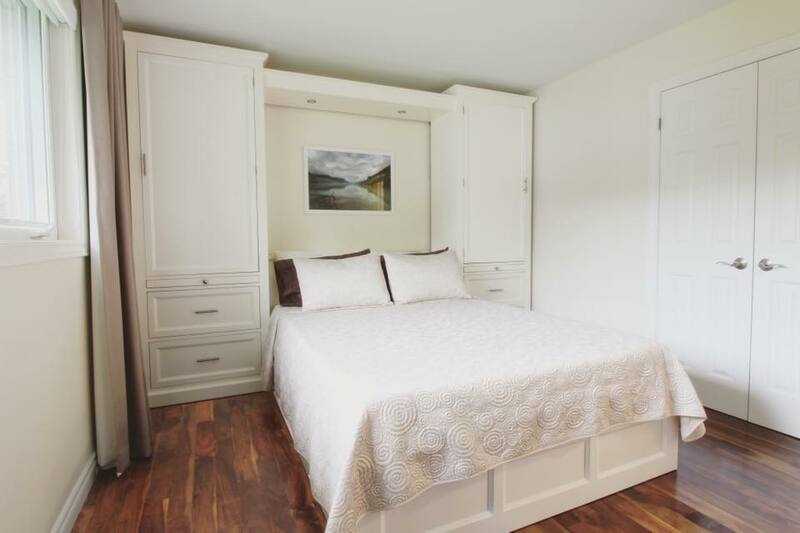 We had the privilege to install this lovely bedroom unit, featuring stylish white cabinets with lots of storage! A very sleek and clean design to keep the bedroom space organized! The contrast between the hardwood floors and the bright walls create a very peaceful sleeping space! Contact us today to find out more about our custom process! 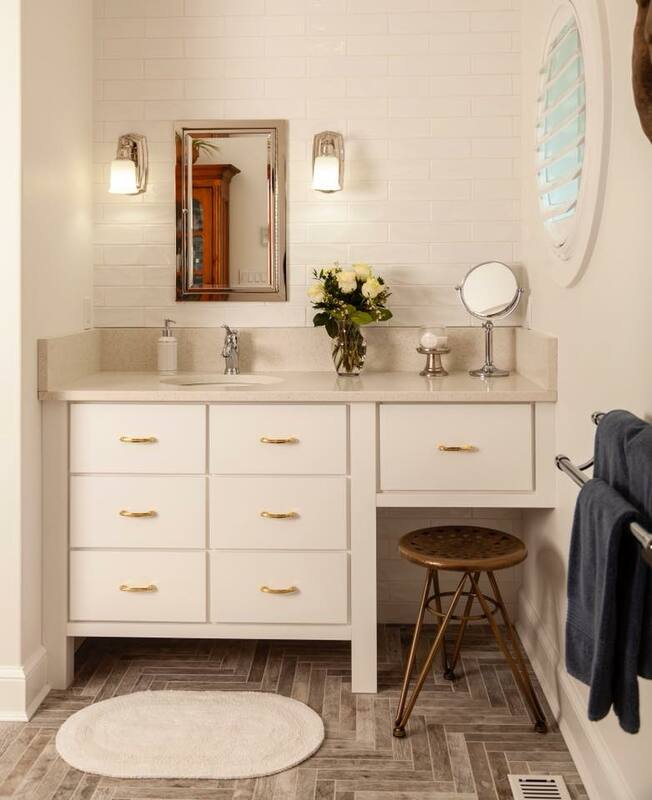 Tiny bathroom with lots of personality features white custom cabinets paired with cream countertop and gold hardware. The gorgeous custom cabinets provide lots of storage with a designated area for hair and makeup! Dreamy office, with lots of counter space and storage to keep organized and clean. This beautiful desk features white cabinets, shelves and a pop of wood! 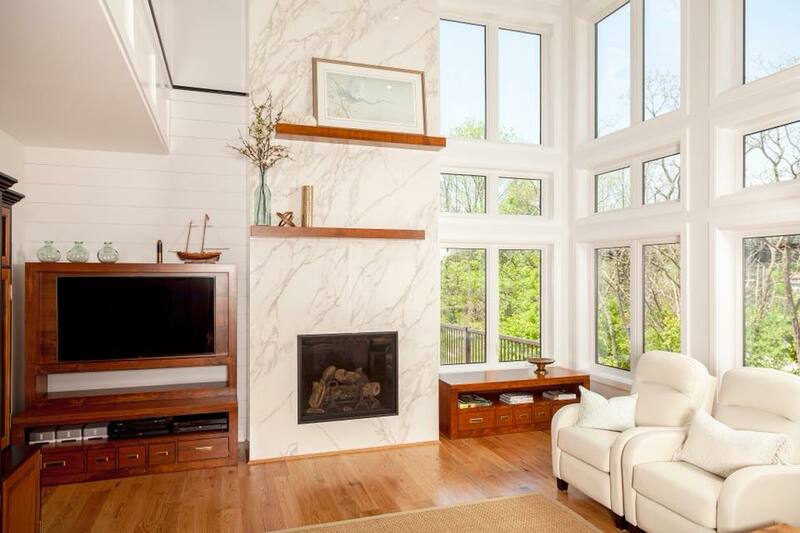 We love the contrast of the white and the wood accents. This office is fantastic for team work, it can fit up to two people very comfortably! Ever dreamed of custom pieces in your home? We would love to work with you and make your vision a reality. At Millbank Custom Kitchens, we are devoted to provide top quality materials and fantastic customer service experience. Enjoy renovating whilst supporting the local economy! We hope to work with you in the near future! For more information about our process and custom project inspiration, visit our website here. 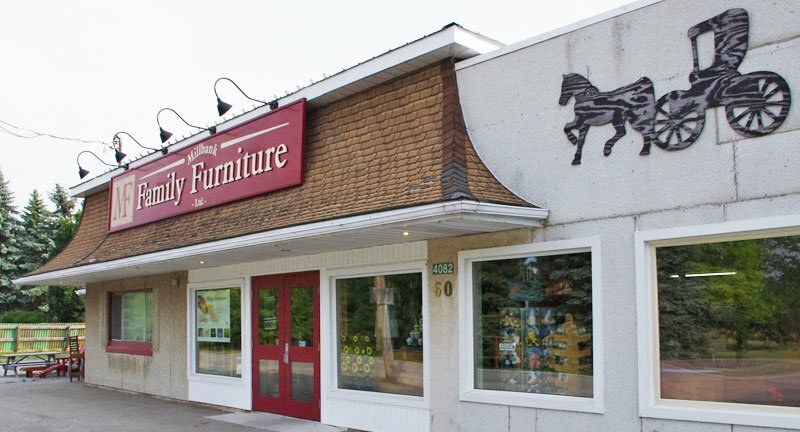 To see more of our recent custom projects and furniture pieces, connect with us on our Facebook here.